Medicom is a fully responsive premium drpal theme that suits to every medical & health websites. It is built with Bootstrap 3 and includes lots of awesome features. It includes Premium MD Slider. Medicom includes Font Awesome and special Medicom Icons in it. You can use the incredible get direction option for your Google Maps too. 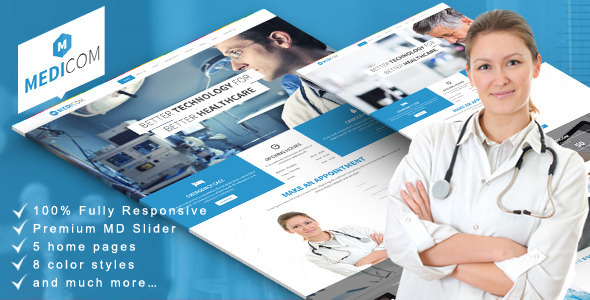 Item Reviewed: Medicom Medical & Health Drupal Theme 9 out of 10 based on 10 ratings. 9 user reviews.